I read a job searching related site that recommended a work specific twitter account. I thought to myself, what would be the purpose of this type of effort? Would your readers/followers know that you are a person? Would your readers/followers know that this is not the whole you, just the professional prism on the gem that is you? So, I quickly gave up on that thought and decided to write this post. 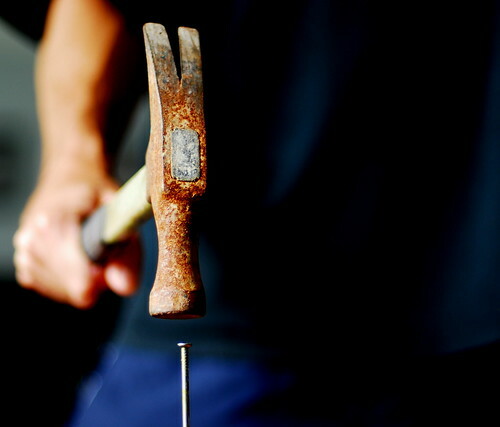 When you are using social networking tools, remember that they are just the hammer, you are the architect. The hammer does not build the catherdal the workmen do. The tool does not create the contacts, you do. Too many times we become enamored with building better hammers. Do not fall into this trap. Just be yourself. Other people will relate to you, if you are real. In my programming past I spent hours building sub-routines to make my life easier. I thought, "this is cool" other people will want these little utilities. I wrote about it, I talked to people about it, I even made sample code and posted them on BBS and forums. No one wanted any code I wrote. What they wanted was a person who was capable of writing the code and could describe it in "normal human" terms to the rest of the world. So, that is what I do to make money. I am the bridge between technology and business. I do not have a separate twitter account for business, everything is a life stream from posterous to twitter. Filter my lifestream with a hashtag. Tweet all your public-approved thoughts, keep your dark side in check and don't fall in love with the tool.